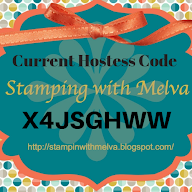 Stamp with Melva: Wow, does time fly! Here it is St. Patrick's Day and I realize I haven't posted since mid February. While I sometimes wonder were time goes, this past month I actually know. I've been really busy with "my day job" and with travelling. 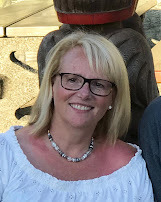 It's been amazing - I've been to Oslo, Norway and Gothenborg, Sweden as well as Ottawa and I leave for a week in Regina tomorrow and then Toronto next week. All I can say is PHEW! I will be very happy to spend some time at home soon. I took this picture in Oslo and love how it turned out. It's a very busy time in my family and circle of friends with birthdays so I've spent some time getting cards ready to go. I thought I would share a couple of them with you. The first card is made using the Fresh Vintage Stampset, Everyday Enchantment Designer Series Paper and Ribbon and Brad Pack and the Paper Doily sizzlit die. The colours are Calypso Coral, Pool Party and Lucky Limeade. The second card also features a stamp set from the Sale-a-Bration catalogue - Elementary Elegance along with the Everyday Enchantment Designer Series Paper and Ribbon and Brad Pack. This time I used Lucky Limeade and Baja Breeze together. These stamp sets, paper and ribbon and brad set are available exclusively in the Stampin Up Sale-a-bration catalogue which ends at the end of March - if you spend $60 on an order you can select 1 item free. Don't miss out on these great products - the Designer paper is my absolute favourite! If you are interested in placing an order, please email me. Will try to get more posted over the next few weeks.